In part 1 I showed you what these brushes can do and how to care for them, in today's post, I will show you how to actually do some lettering with watercolors and ink. Watercolor paints either in a tube, pan set or liquid. There is no RIGHT WAY to hold a brush, try out a few different ways and see what feels good for you. Remember to pull not push, you don't want to go against the bristles as it will cause them to fray. If you want you letters to have texture choose a watercolor paper or a rough mixed media paper. If you want your letters to be more smooth choose Bristol paper or a smooth mixed media paper. If you're just messing around and testing out the brush and colors just use some printer paper. It won't warp too much if you're just doing some lettering. Watch the video below and follow along to create your own beautiful letters. 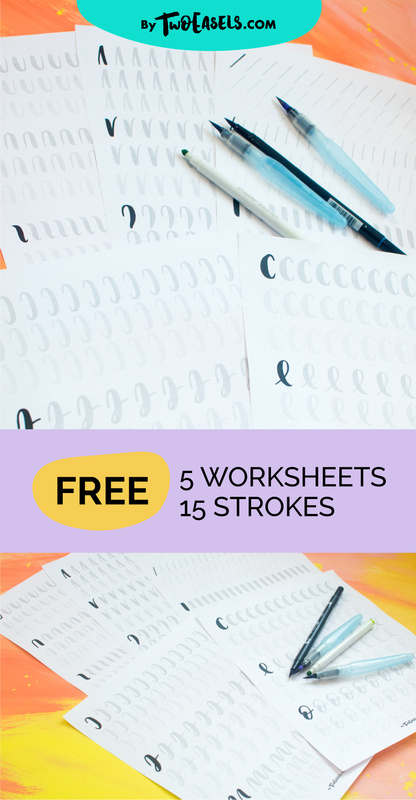 I hope your enjoyed this little tutorial, and I'd love to see your lettering on Instagram or join the FREE Facebook group and post your progress there.